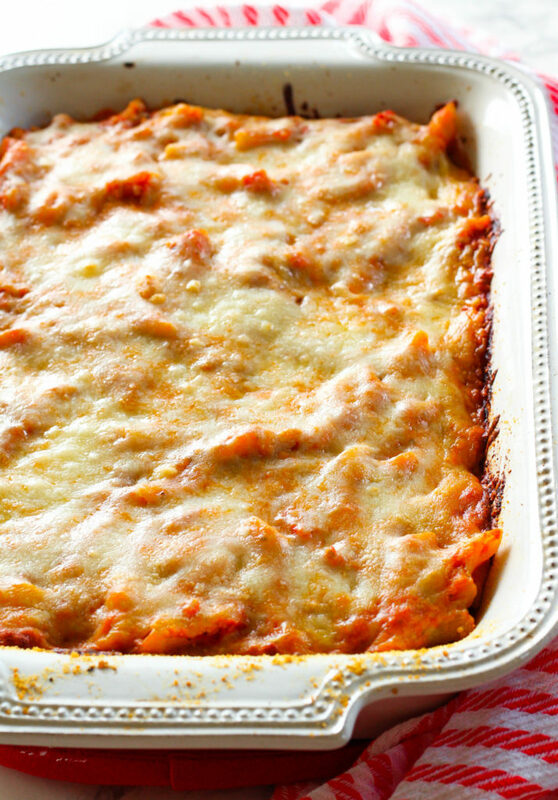 Get dinner on the table in less than 45 minutes with this delicious Easy Baked Ziti! With only six ingredients, this baked pasta is cheesy, easy to put together, and is lower in sodium. This post was sponsored by Sprouts Farmers Market. All thoughts and opinions about this original recipe are my own. Happy Tuesday, everyone! Did you have a good holiday weekend? I realized I had taken another week off from the blog unintentionally. This summer has been absolutely crazy insane. So many things have been happening, I can barely keep my sh!t together! Also, just a side note: throughout the month of September, you can find my first ever *printed* published recipe in Sprouts Farmers Market’s monthly in-store catalog! You can find it in any store across the country. Super excited for that! I’ve never had my recipes printed in an actual publication before. 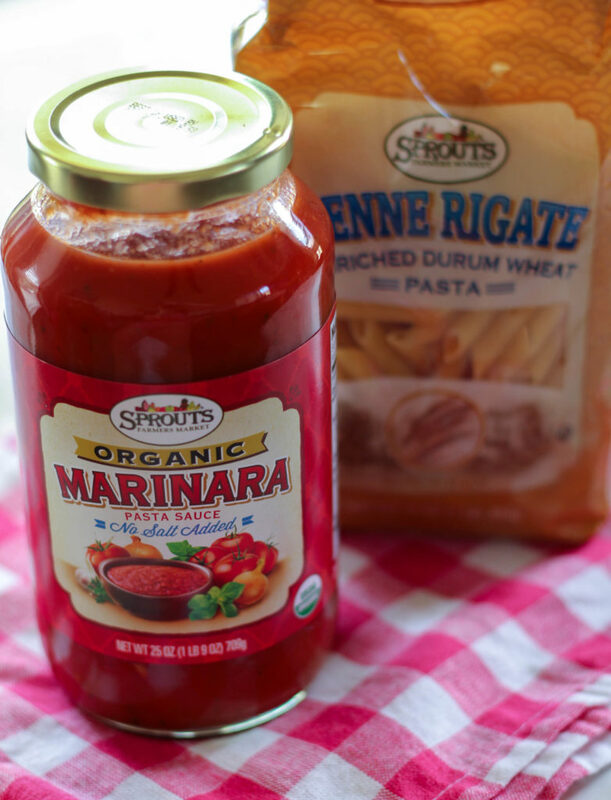 Today I’m sharing another recipe brought to you by Sprouts! I was asked to share a Fall favorite recipe. I instantly thought of a warm, cheesy pasta casserole. 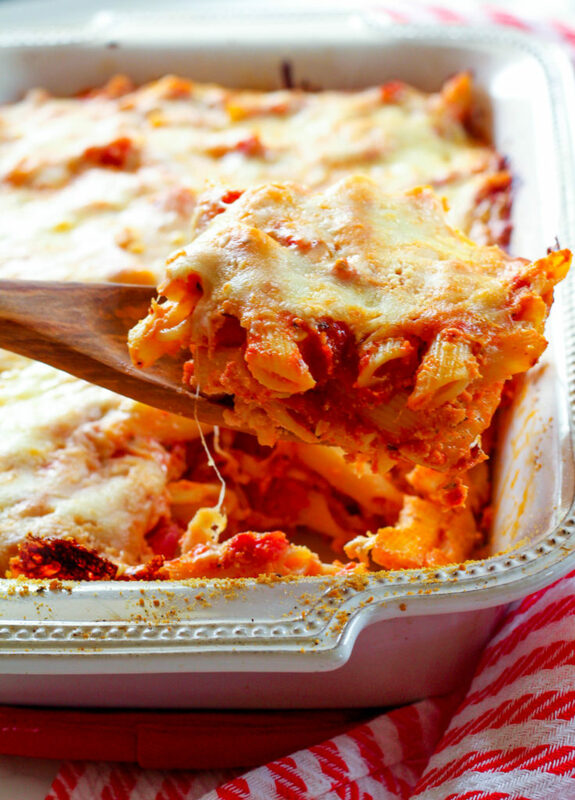 I’ve made this baked ziti dish so many times, I don’t need the recipe to follow along. There’s only six ingredients, including penne, mozzarella, ricotta, egg, parmesan and Sprout’s organic marinara– which I used the “no salt added” version. I love buying tomato products (cans or jars) with no salt added, so that I can add my own seasonings and salt/pepper later, without the sauce already coming loaded with salt. A 1/4 cup serving of regular marinara sauce can have 500-700mg of sodium, and no one I know uses just 1/4 cup of sauce on their pasta. As the temperatures begin to – hopefully – cool down, this cheesy baked ziti is a perfect weeknight meal. Boil the pasta according to package instructions and then drain. Add to a large mixing bowl. Add the pasta sauce, ricotta, half the mozzarella and the egg to the pasta. Mix well. Season with salt and pepper, to taste. Spray a 9x13 baking dish with cooking spray and then pour the mixture in evenly. Top with the second half of the mozzarella and the parmesan. Bake for 30 minutes, or until the cheese is browned and bubbly. Congrats on the recipe publication, so exciting!! This looks amazing and I love how simple it is. First of all, congrats on being an aunt! It’s so much fun (until you have your own kids!). 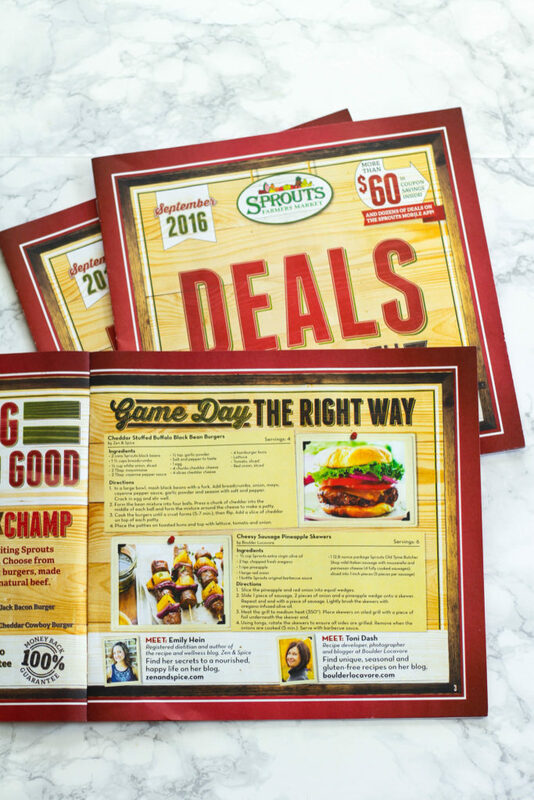 Second, congrats on having your recipes printed in the Sprouts newsletter – that’s awesome! Third, I LOVE baked ziti and yours looks delish! Thanks Jessica! So many exciting things happening.